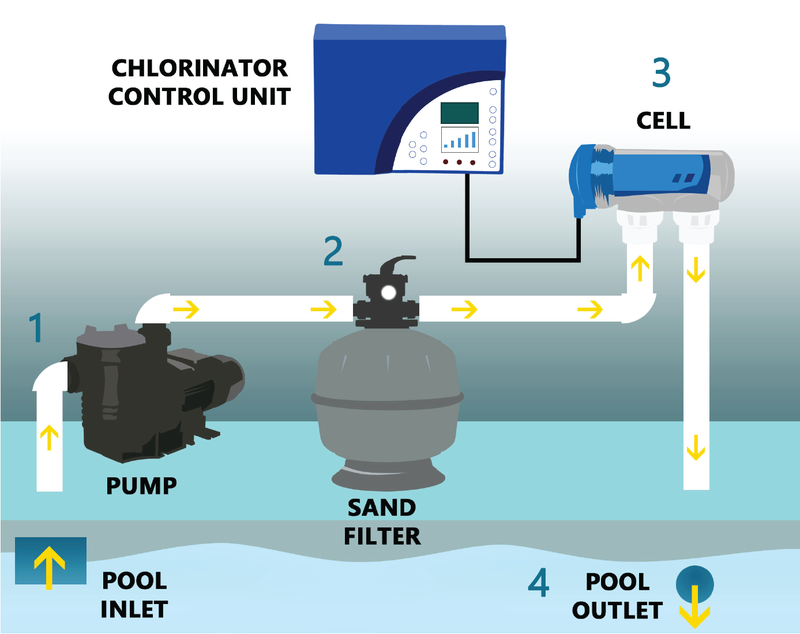 Salt water chlorinators have made it easy to keep a pool clean and clear! They produce chlorine in-situ, as mild salty water passes through the electrolytic cell. Chlorine is produced over a period of several hours, so it is more evenly dispersed in the water and therefore less likely to cause irritation to bathers. 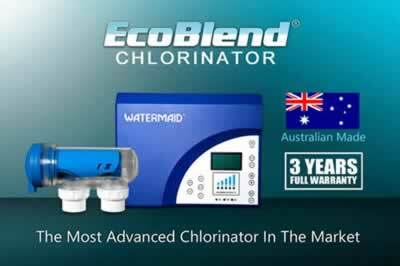 With a salt water chlorinator, there is no longer a need to handle hazardous and expensive chlorine chemicals. The salt water is also therapeutic, particularly for asthma and bronchitis sufferers. 1. Water is pumped from the pool via the pool inlet. 2. Water passes through the sand filter. Particles and debris are removed. 3. Pool water enters the cell. Chlorine is produced by electrolysis (see diagram below). 4. 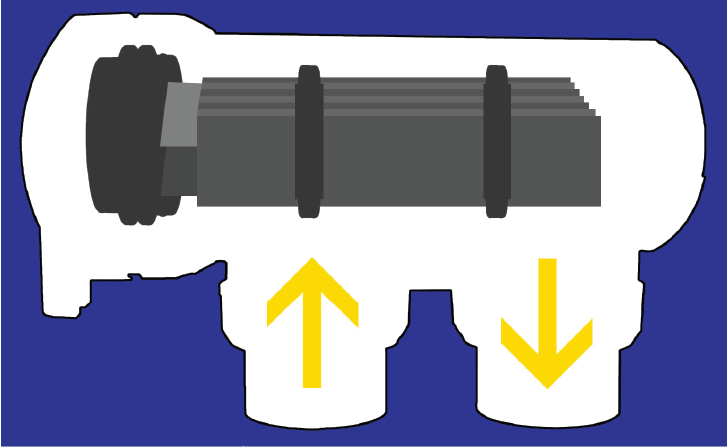 Chlorinated water is returned to the pool via the pool outlet. 1. Pool water containing sodium chloride (NaCl or "salt") enters the cell. 2. By electrolysis, sodium hypochlorite (NaOCl) is produced. 3. Sodium hypochlorite in water dissociates into ions to then form hypochlorous acid (HOCl), the active ingredient which destroys bacteria and algae, and oxidises organic matter. N.B. Other blends of mineral salts can be used instead of sodium chloride to achieve the same result.